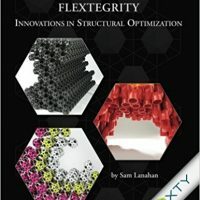 The foundation of Flextegrity’s intellectual property is a unique and innovative icosahedron- based architecture for assembled structural materials. Our patent- pending geometry uses well-proven engineering principles in new ways to leverage the inherent compression and tension forces of standard materials to their optimal natural performance. 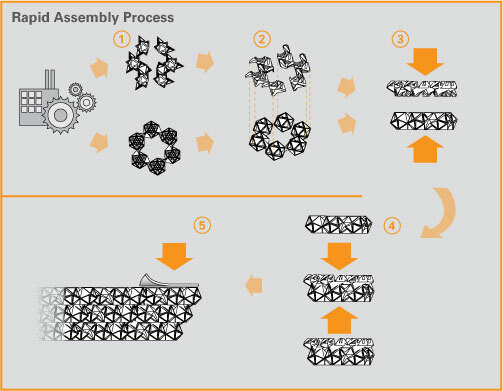 Specifically, Flextegrity geometries, from nano- to meso-scale, utilize polyhedral elements as compression members and a proprietary tensile matrix to produce omni- directional anisotropic structural materials with superior strength-to-weight ratios and precisely definable flexibility and stiffness characteristics in every dimension. 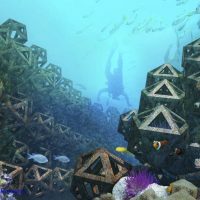 Flextegrity’s technology enables the ‘custom-knitting’ of lighter, stronger, safer structures. The capability for ‘uni-body’ construction of large, integrated, multi-functional ‘blocks’ in a controlled manufacturing setting ensures a higher level of quality assurance, and can significantly shorten on-site con- struction/installation times and processes.